‘Alopecia’ is a general term for hair loss - from mild and temporary shedding to profuse and permanent loss. It’s the preceding word that explains the type of hair loss - in this case ‘areata’, which means ‘in areas’. Alopecia Areata causes specific areas of baldness that appear randomly throughout your scalp. This hair loss can be temporary, semi-permanent (recurring) or permanent and can affect eyebrows, eyelashes and body hair; as well as beard hair in men. It very rarely leads to a universal loss of hair, or ‘alopecia universalis’. How Common Is Alopecia Areata? Alopecia areata affects approximately 4% of the population (90,000 in the UK alone), and around 98% of those diagnosed recover. Alopecia areata can affect all ethnic groups and ages, but is most likely to occur between the ages of 20 and 50. It occurs equally in both men and women. The main diagnostic feature of alopecia areata is the presence of bald patches surrounded by little ‘exclamation mark hairs’. These are thicker at the top and taper to a thinner end, with the root a blob at the bottom. The number of exclamation mark hairs you have can indicate how active the alopecia areata is. In general, the more there are, the more rapid its progress. However, sometimes there are no visible exclamation mark hairs at all. In these cases, alopecia areata may be diffuse (spread over a large area), but this is rare. In alopecia there is also inflammation present at the lower end of the hair follicle, but you can’t see it. Rarely, small patches of alopecia areata can grow, overlap and progress to total baldness, or alopecia totatlis. Alopecia areata is widely accepted to be an autoimmune disorder, where your body sees certain hair cells as foreign enemies and attacks them. What triggers this response isn’t entirely understood, but 90% of cases are associated with stress, shock, bereavement, an accident or illness. There is also often a genetic predisposition and there are in fact several reported cases of alopecia areata’s occurrence in twins. Alopecia areata is also more common in those that suffer from hayfever, eczema, Addison’s disease, pernicious anaemia, rheumatoid arthritis, ulcerative colitis, lichen planus, diabetes mellitus, vitiligo, lupus and thyroid disease. 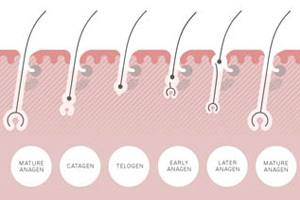 In many cases, alopecia areata spontaneously resolves itself within a year, but there are also treatments available to help bring about remission. Corticosteroid injections are thought to be the most effective of treatments for alopecia areata, especially when used on small patches. They are given every few weeks, and can be used to treat bald areas on your scalp, eyebrows and body. They work by suppressing your body’s immune system, so that it no longer attacks your hair follicles. Side effects may include pain at the injection site and thinning of the skin. The benefits of topical corticosteroids are debatable. They’re applied daily to affected scalp areas, but cannot be used on your face or body. Possible topical creams and gels include: betamethasone, hydrocortisone and mometasone. They work similarly to corticosteroid injections, but are applied differently. Side effects may include acne and thinning of the skin. Inflame your scalp, like a sunburn. They work by focusing your immune system on the hair cells affected by the UV, which can allow the hair to regrow. Simply put, cells go to repair the damaged skin and ‘trick’ your hair into growing. If you're suffering from Alopecia Areata why not talk to a qualified Trichologist at our London or New York hair clinic? 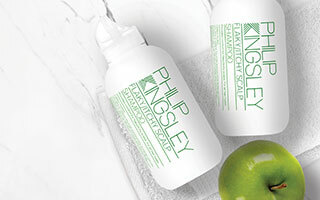 "At Philip Kingsley clinics we take a very holistic approach to the treatment of alopecia areata. 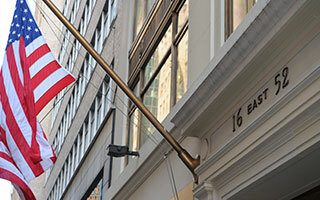 During an initial consultation, we look for any underlying causes and then determine how best to treat them. At our clinics, regrowth of hair is helped and accelerated using various types of stimulants, and UV treatments are also commonly used. However, there is a limit to how much UV you can safely use, and we keep within these boundaries. It’s important to recognise that there’s no cure for alopecia areata, and it often resolves by itself. However, in some cases, even with treatment, it still recurs. Some people seem to be more prone to alopecia areata, and maintenance treatment is recommended and helpful. My colleagues and I often rule out transplants for treatment of alopecia areata. Transplants aren’t a solution as one never knows where alopecia areata will strike and it can recur and affect transplanted hairs as well as non-transplanted hairs. While you can still have transplants done, if the alopecia then affects those areas it can cause even more psychological and emotional distress."